The interior is divided into five cabins, with enough double and single bunks to suit any combination of couples, singles or families. The forward cabins have work desks and all cabins have 120 VAC/60 Hz power for your laptops and charging equipment. (Nearly all 240 VAC laptops and video chargers, etc. will also run off 120 VAC. 240 VAC/50 Hz power is available at the charging station for cell phones, battery chargers, etc.) Heat is provided throughout the boat by a radiator system driven off a reliable Refleks heater - these heaters can be completely filled with water and be running again in 15 minutes ... unlike most yacht heaters which stop working if any moisture creeps into the exhaust. (The hot water heater also runs off the Refleks, so hot showers are available at any time, unlike most yachts where the heater is plumbed to the engine and is only available while underway or immediately after.) We have an extensive library with emphasis on high latitude regions: histories, biographies, natural history, field guides, etc. Music: CDs (incl MP3 & WMA), IPOD ready, cassettes. There are several large bays down below to store your bulky expedition equipment - skis, pulks, climbing gear, or research equipment. Each cabin has numerous lockers for smaller items. 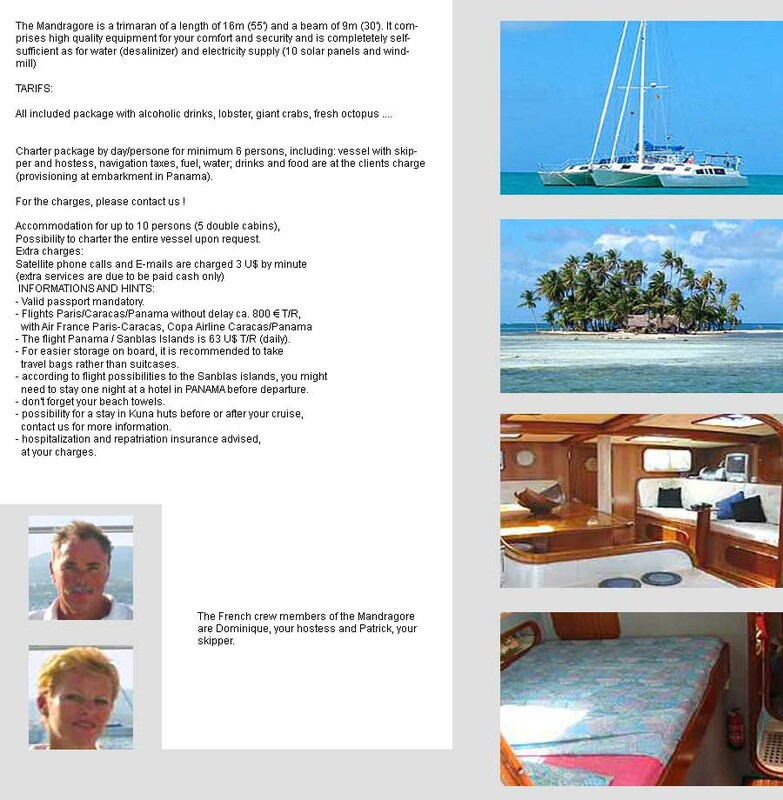 We find that most of our guests who have cruised on sailboats before find SEAL to be an exceptionally comfortable boat. Heat, hot showers, real-food meals, and dry comfortable cabins come as a welcome surprise. For our guests with limited sailboat experience, SEAL may be a bit more like camping than you might expect on an Antarctic "cruise." If creature comforts are the most important thing on your list, you may be happier on a cruise ship, but if time ashore and an intimate experience with the wildlife and specatacular scenery is what you value, you may find that sharing a cabin, washing a few dishes, and being truely part of an expedition are worth a bit of "roughing it." I must tell you that the trip met and exceeded my expectation! I want to thank you and Hamish for giving me so much helm time and showing confidence in my abilities to keep Seal under control. I learned so much under your watch and will be forever thankful. I'm sure I will be a better sailor because of it. Oh, thanks for letting go swimming! 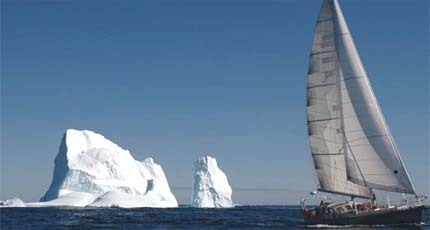 "I have no hesitation recommending SEAL cruises to any of our Offshore Sailing School graduates, based on my wonderful experience cruising around Cape Horn and along the Beagle Channel in January, 2007. I know a well built boat when I see one and would feel safe in SEAL in any conditions anywhere in the world. Having sailed my own boat in the infamous 1979 Fastnet Race storm when 15 sailors lost their lives, I feel myself qualified to make that statement. Plus, I found that Hamish and I share the same commonsense approach to sailing seamanship (like the lack of value of storm trysails). Hamish and Kate have found a way to make a potentially dangerous sailing experience both safe and fun. Go for it."